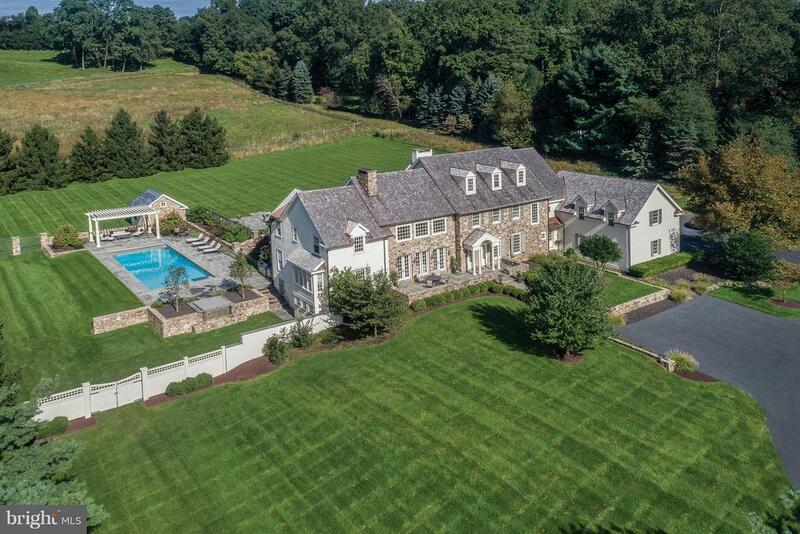 Introducing this magnificent zaveta custom built estate property in upper makefield township, bucks county pa! Located in the sought after laurel brook neighborhood and nestled on 2 acre cul-de-sac lot backing to farm land, this breathtaking 5brs, 4 full & 2 half bath home is full of superior craftsmanship and world class amenities. It all begins in the main entrance where a double french walnut door opens to the foyer that is two stories in height and features a circular oak staircase and custom millwork. The foyer is flanked on the right by the formal dr w/ built-in china closet & wall sconces and on the left by the 1st floor study w/ double french door entry, built-in desk, shelving & drawers. Continuing through the foyer is the two story coffered ceiling lr featuring a gas fp w/ custom wood mantle and marble surround. Perhaps the most enjoyed area of any home is the kitchen and great room areas. 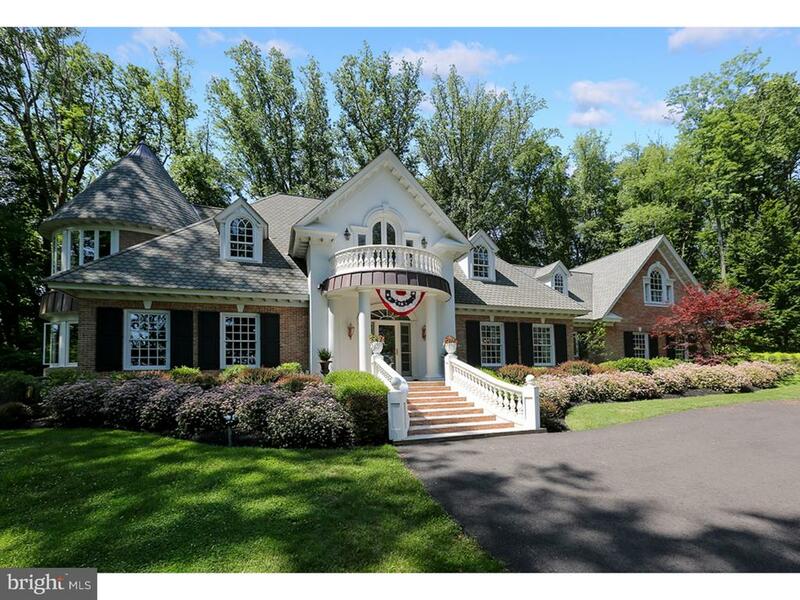 Without exception, this eastburn drive property offers plenty of memorable moments. The kitchen boasts custom cherry cabinets, granite counters, raised center island and high end appliances with names like viking and bosch! A separate breakfast area provides that special place for morning coffee and has views of the bucks county countryside. 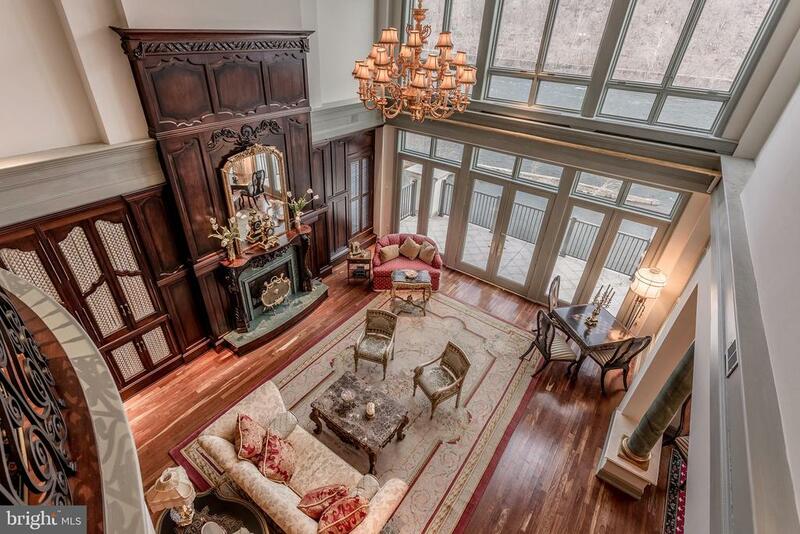 The great room has large built-in cabinets and a natural stone wood burning fp w/ raised stone & slate hearth. Behind the kitchen is the computer/work room with plenty of desk and storage space conveniently available right off the kitchen! On the opposite end of the home is the light drenched sunroom featuring banks of windows and wonderful views. Please know the entire main level has pristine hw floors!! The main staircase or back staircase lead to the 2nd level. There you'll find the spacious master suite w/ sitting area, large closet and opulent master bath along with 4 large brs, 2 additional baths and the 2nd floor laundry. Below is the 2,100sqft w/o finished lower level w/ 9ft ceilings! 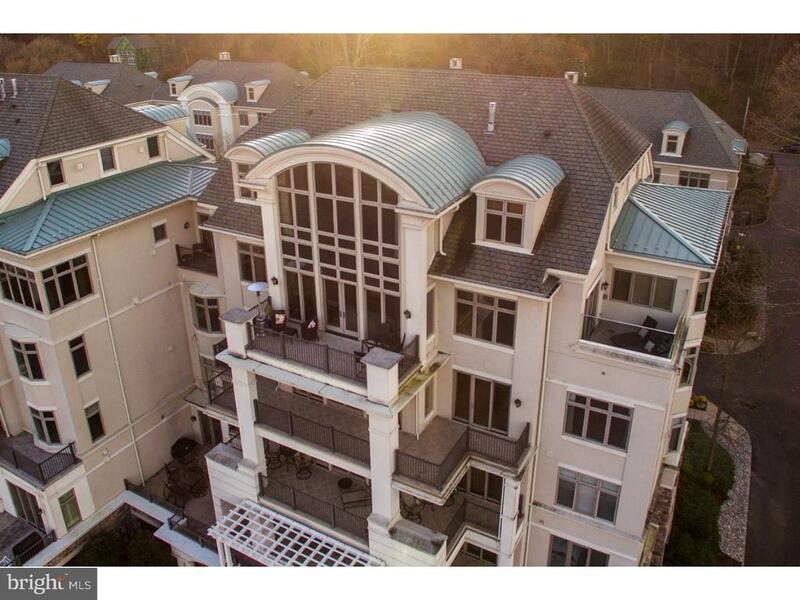 There is an entertainment area, built-in bar with dishwasher & ice maker, game room, wine room, huge exercise room with arts & crafts area and 5th bedroom with full bathroom. Outside are three patios, stone walls, steps & walkways. Other home highlights include central vacuum system, speaker system throughout many areas of the house including the patios, outdoor irrigation system and holiday light package. Easy commutes to i95, trains to nyc, route 202 and the princeton route 1 corridor. Award winning council rock schools! This custom built center hall colonial with generous room sizes has beautiful custom millwork and luxury finishes throughout the house. As you approach, the curb appeal is exceptional. 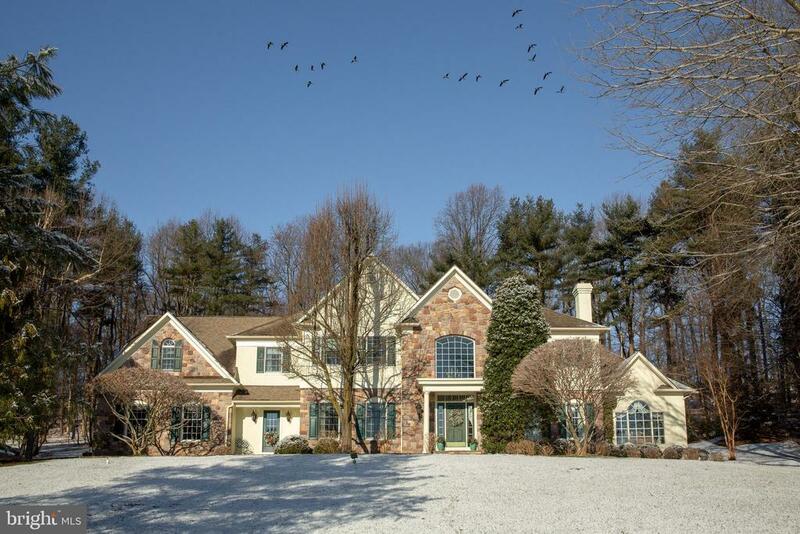 The grounds of this estate property are a defining quality that sets it apart from others. The landscape and hardscape create a serene experience. The entry of the home opens to a foyer with a sweeping staircase flanked by a dining room with resplendent moldings and wainscoting and built in corner cabinets and to the right a formal living room with triple-crown moldings and masonry gas fireplace. Step into the nucleus of the home, the gourmet kitchen with a large center island, granite counter tops, marble backsplash, and copper sink, top of the line appliances, a butler's pantry and a dining area with walkout to the paver patio. The adjacent spacious two story great room with stone fireplace has walls of windows that overlooks the paver patio and stunning multi-level stone terraces complete with a waterfall gently flowing to a stone pond/pool. Simply breathtaking! Enjoy this view from all rooms in the back of the house. A first floor study with built in bookcases has french doors to the great room and leads to the solarium that runs the width of the house and has views of the lush surroundings as well as access to a cedar deck and the paver patio. A rear and front staircase leads to the second floor sleeping area. The very spacious master suite with a sitting area has a gas fireplace. A bonus room, currently used as a third closet, could be an office or nursery. The ensuite master bath has a large jacuzzi tub. Three additional bedrooms are located on the second floor; one ensuite and two with a jack and jill bath. A stained glass panel greets you as you enter the large finished lower level which is an ideal gathering place and for entertaining friends. It's complete with a large space for a pool table, and boasts a bar area, half bath, a sitting area with fireplace and large screen tv, a half bath, an exercise room and bonus room. The home has four fireplaces, exterior lighting and a generator. The home is located in one of the top school districts in pennsylvania and is commutable to new jersey.